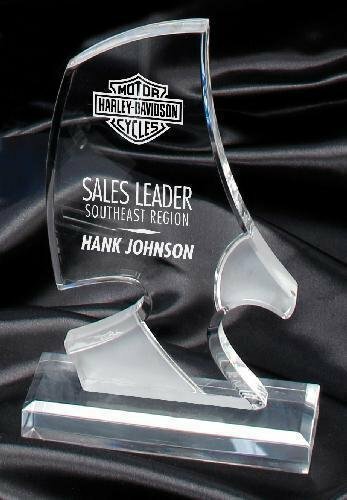 Elegant is the only term that one can use when describing these Acrylic Phantom Eagle Awards. A unique side look of an eagle with a frosted head with its wingspan creating a large engraving or laserable area that can accommodate any of your personalization needs. The matching acrylic base completes the look. Flexibility is a key component for these awards that come in your choice of three sizes 6-3/4", 7 3/4" or 8 3/4". These are beautiful awards that anyone would be proud to give or receive. 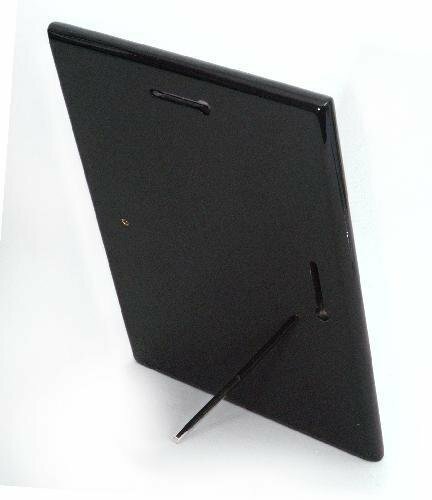 If you are looking for something different than the ordinary award plaque, this free standing black piano finish plaque may be just what you need. 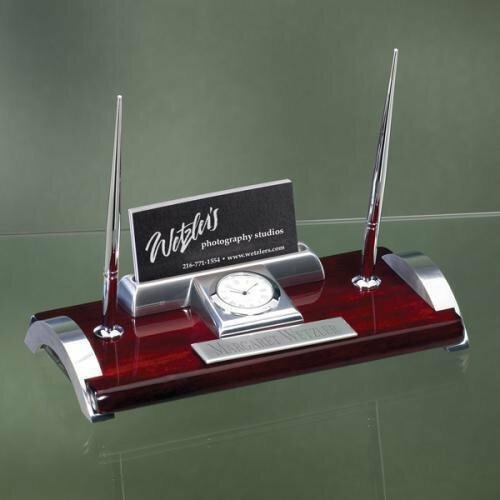 The wedge attached to the back provides stability and allows for easy shelf or desk display. 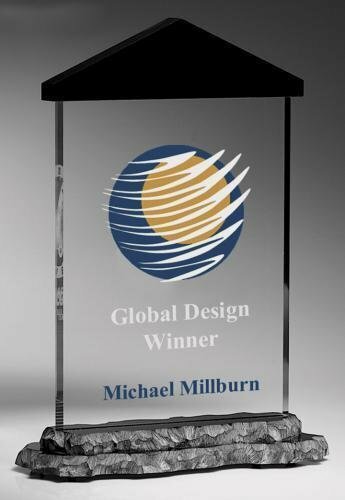 Whether personalized with a plate for added elegance as pictured, or directly on to the plaque, you have created a stunning recognition of achievement. This plaque is available in 3 sizes. 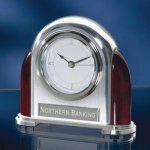 This elegant desk clock features an arched piano finish clock with framed on 2 sides by ornate metal columns. There is ample room on the front of the clock to personalize for your event and create a stunning recognition of achievement, celebration of milestones reached, or personalized gift. 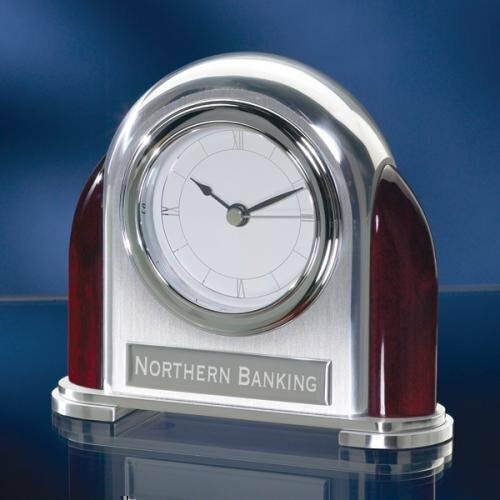 The clock is available in rosewood with gold columns and bezel, or black with silver columns and bezel. 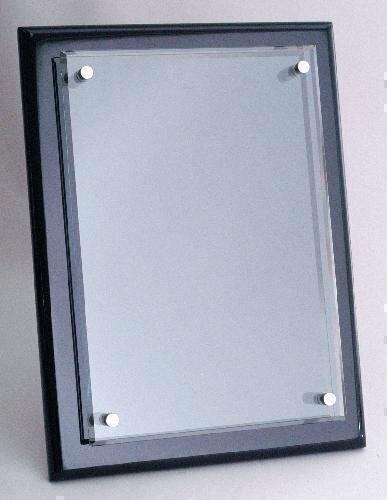 Black Piano Finish Plaque with 1/4" beveled clear glass. All piano finish plaques ship assembled and in a presentation box.